Date: Feb 15 2019, 10 a.m. - 12 p.m. Play Morning gives youth, from toddler to 5 years old, and their parents the opportunity to play with others in a fun and structured learning environment. 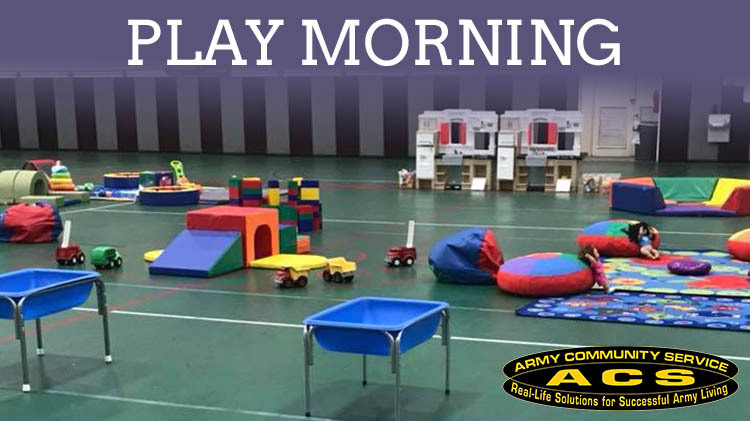 Play Mornings are held 10 a.m. – 12 p.m. These events are free but registration is required by calling (571) 231-7028. Eligible patrons include active duty military, retirees, DoD civilian employees and dependents.